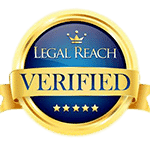 The Law Office of Matthew Jeffery only accepts cases that we believe are likely to succeed. We pre-screen our clients’ cases through various means, including website assessment forms, email questionnaires, and in-person consultations. If we don’t think your case will win, we will let you know that. We won’t waste your time and money making a pointless immigration application. For those client cases that we do take on, we will do our best to ensure success. No effort will be spared to take care of even the smallest details of your case to make sure that everything is done properly and proceeds expeditiously. While we can never guarantee the success of an application, overall we have an excellent success rate, and the vast majority of our clients obtain the result that they are seeking. Of course, every case depends on its individual facts. No two cases are exactly the same. In some cases the facts are such that the case should clearly succeed, in others this is far more uncertain. We will tell you exactly what we think of the facts of your case before you retain our services, so that you are informed of the chances of success based on your own factual situation. The chance of success also depends on the type of immigration application you require assistance with. Some applications are relatively straight-forward, while others are far more complicated. For example, the outcome of applications for permanent residence under the skilled worker categories are relatively easy to predict, whereas immigration appeals before the courts are complex matters and the ability to predict the outcome is less certain due to the highly discretionary element of a judge’s opinion of the matter. In any case, whether the matter is simple and straight-forward, or complex and discretionary, your chances of success will improve dramatically by using the services of our office. 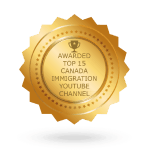 Due to our many years of experience with all aspects of Canada’s immigration system, we have an in-depth knowledge of how to proceed in any given situation, including how to deal with any problems that may arise in the course of a case. 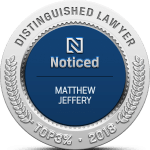 Given the importance of a successful application to you and your family, hiring the services of an experienced immigration lawyer like Matthew Jeffery is your best bet to improve your chances of success.